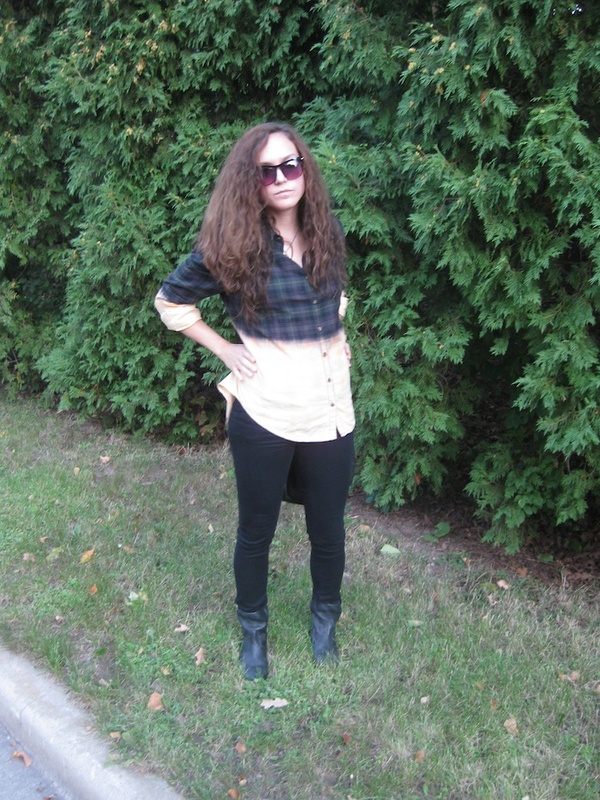 I've been glamming up my corner of the midwest lately with cowboy-esq boots and perfectly ombred plaid. Isabel Marant + the Olsen Twins makes everything better. Elizabeth & James Fairfax sunglasses and Amber shirt, Current/Elliott legging jean, Isabel Marant Jenny boot, Raymond Weil watch, Balenciaga bag. you are rock!! suits you! I was never really sure about the ombre/dip-dyed trend, but you pulled it off so effortlessly! I love the shirt and your booties, too! Great outfit. Love the Marant boot! Love the outfit - and LOVE that the title is in French!! Loooooveeee your shirt!! Simply amazing!! Great blog!! I love your blog!Would you like to follow each other?? 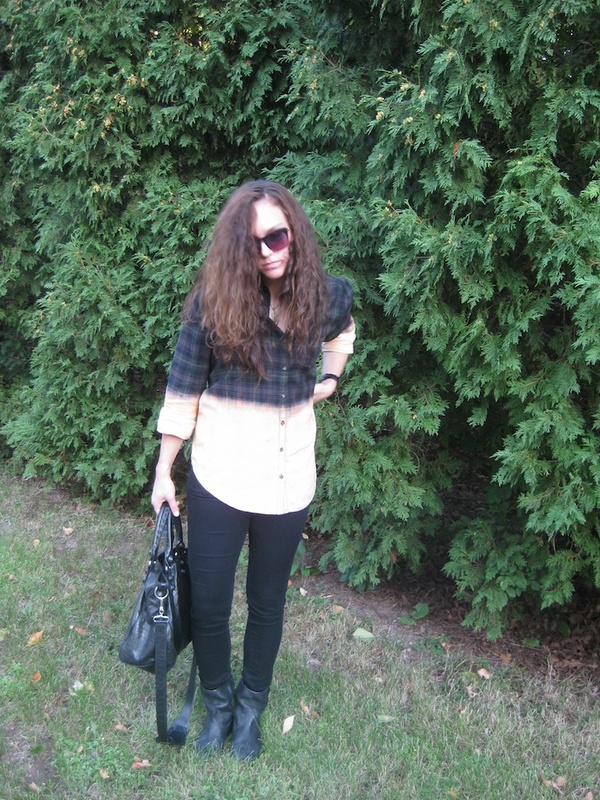 I have never seen ombre plaid before, look so cool! Awesome look! What a great ensemble! I really love that shirt...it would be cool to maybe do a DIY of it with bleach. Thanks! Maybe I'll have to try that, great idea! Wow, your blouse is so cool!! I admire these photos! you are beautiful! you look amazing! What? 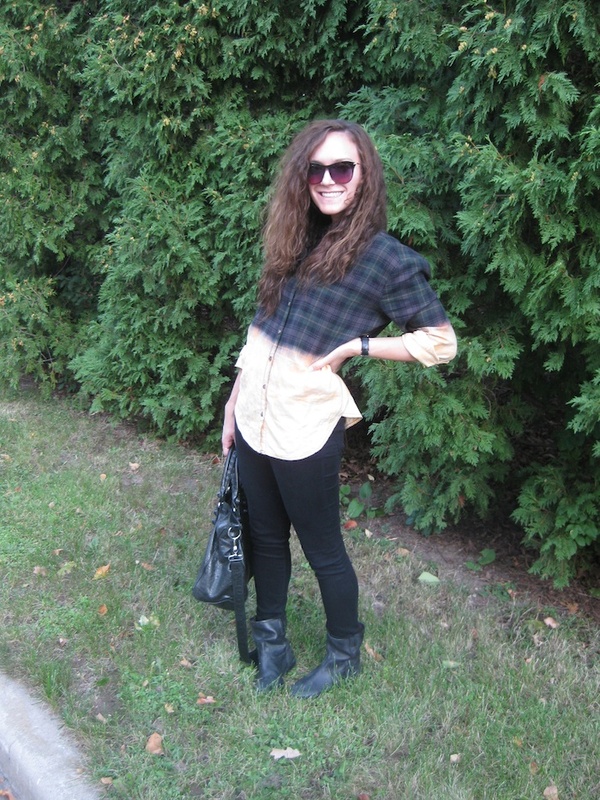 An ombre plaid shirt? Genius! Right? I love Elizabeth & James!